When was the last time you had a gas system inspection? The efficiency and safety of your gas systems are paramount to your daily operations. To be operating legally, your gas system needs to be in a safe condition, well maintained and inspected regularly. 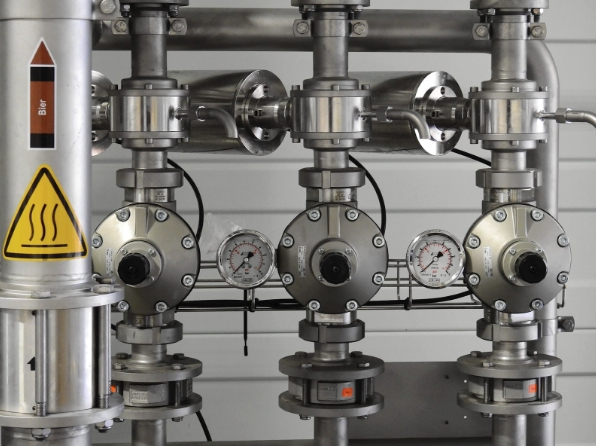 If you are responsible for these systems, it is important to understand industry obligations, how to comply with them, and the benefits of regular gas system inspections. For example, take a gas system in a school’s science department. Maybe one day there is a leak. For safety, the school may have to shut down until they fix the problem, which causes a large number of other issues for managers and teachers. The same scenario can happen in a hospital, a chemical factory, or any other building with a gas system installed. There are many benefits to managers looking ahead and hiring a professional to inspect their gas systems. Specifically, being proactive can save potential costs and prevent dangerous situations in the future. It also ensures they are complying with the law. Health and Safety at Work Act 1974: Section 2. It states that an employer or self-employed person has a responsibility to provide and maintain systems of work to be practical, safe, and without risk to health. The user of an installed gas system and the owner of a mobile gas system must ensure that the system is properly maintained in good repair to prevent danger. As a manager or person of responsibility, hiring a professional to maintain, test, and inspect your gas system regularly is essential. It’s not just about keeping your operations running smoothly; it’s about keeping people safe. Higgins can help provide gas system servicing for your industry. With years of experience, we follow the most recent regulations and keep your safety as our number one concern. Get in touch with us today on 01625 613 308 to find out more about the industrial servicing we provide.